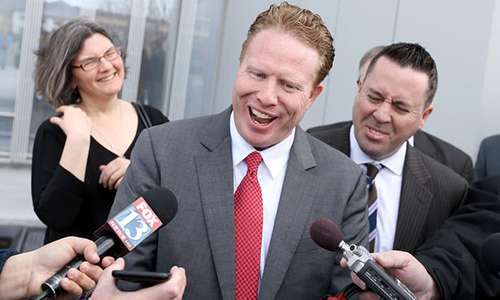 Jeremy Johnson, a prominent figure in the infamous 2011 “Black Friday” crackdown by US authorities against the largest international sites offering online poker to Americans, has been jailed in Utah for contempt of court for refusing to testify in the trial of former Utah Attorney General John Swallow. Johnson, who was returned to Utah from a California federal prison where he is currently serving an 11-year term on charges related to the operations of his iWorks telemarketing empire, has repeatedly asserted a Fifth Amendment defense against self-incrimination by refusing to testify. Judge Elizabeth Hruby-Mills, who is presiding over the Swallow trial, has so far not been able to get Johnson to testify. At issue for Johnson, according to his defense attorney, Mary Corporon, is that while the state of Utah has granted immunity to Johnson for his testimony, he has not received matching immunity from the US federal government. Given that Johnson and his counsel believe he still could be charged for additional events beyond the scope of those covered in the FTC’s iWorks case, the demand for federal immunity has remained steadfast. Johnson was, by all indications, could have been the 12th individual defendant in the Black Friday crackdown. Johnson orchestrated the processing of online deposits and withdrawals through St. George, Utah’s SunFirst bank, which later failed after the scope of Johnson’s operations became clear. Johnson himself avoided charges in the DOJ’s Black Friday case only because the iWorks case was filed just prior. Records showed that Johnson and his associates freely commingled funds between iWorks- and poker-related accounts and business entities. Nonetheless, subsequent developments and the release of additional information has shown Johnson may not quite be clear. And therein is the problem in the current Swallow trial. Getting Johnson to testify in court is key for the prosecution. Swallow and his predecessor as Utah AG, Mark Shurtleff, were both charged with multiple felonies generally related to “pay to play” bribery, some of which involved businesses of Johnson and other associates. In Swallow’s case, while charges not involving Johnson are also part of the case, the Johnson stuff is front and center. A key element is the infamous “donut shop” recording secretly made by Johnson of a lengthy conversation between the two, in which both Johnson and Swallow made statements that had investigators wondering what else went on. Johnson essentially admitted to committing several counts of bribery himself in that conversation, including a claimed movement of $1 million from the old Full Tilt Poker to then-US Senate Majority Leader Harry Reid in exchange for Reid introducing a pro-online poker bill in Washington D.C. Those allegations were reported here back in 2014 and surfaced again, with more circumstantial evidence, just a couple of months ago. 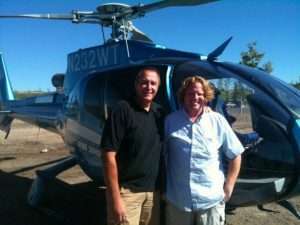 The current loggerhead took on added significance in the wake of the separate but related charges against Shurtleff, who was Swallow’s mentor and predecessor, being dismissed. The Swallow and Shurtleff cases were split between prosecutors in two different Utah counties, but Davis County Attorney Troy Rawlings finally gave up in the Shurtleff case, in large part (as he claimed), because federal authorities refused to provide information in their possession about the various bribery allegations and other misconduct. Rawlings granted Jeremy Johnson immunity in that trial, and federal authorities appeared to have gone along with that, then backed away from the deal. Since the feds have not offered ironclad immunity to Johnson, he is now refusing to testify in the Swallow case. Rawlings himself issued a statement about the matter, in part after being castigated publicly by officials active with the Swallow case. Among them was a slap from Assistant Salt Lake DA Scott Burmester, who called Rawlings a “Tasmanian devil, swirling around,” and said Rawlings shouldn’t be talking, since he might be called to testify. In response to multiple media inquiries this morning outlining allegations: I have been informed that yet again today the Salt Lake County District Attorney’s Office, via Fred Burmester, makes false allegations against someone. At an appropriate time, after the John Swallow trial, I will respond with documents and evidence. For some time now, the Salt Lake County DA’s Office and federal government have wanted me to ignore both the scope and duties of my appointment as a Special Assistant Utah Attorney General, including a mandate to make determinations on immunity. The granting of immunity, or not, is in the very first paragraph of the Special Appointment from the Utah Attorney General. The DA’s Office clearly prefers I not take that appointment and corresponding duties seriously. To the DA, I should have hidden this from Jeremy Johnson’s counsel after multiple reporters contacted me yesterday asking for a comment / response to Mr. Johnson invoking the 5th Amendment during trial. To Mr. Burmester, I should have concealed from Mr. Johnson’s counsel, and thereby the court, that they need to consider the ramifications of the authority and responsibility granted in the Special Appointment mandate as it relates to Mr. Johnson, who is a key figure and witness in the larger scope of potential criminality they have asked me to forget about it. It appears they continue to prefer I ignore evidence. It seems clear they prefer I not care about constitutional issues such as due process, speedy trial, the right to confront and cross-examine witnesses based on all required Brady-Giglio evidence and the right to meaningful assistance of counsel. They want me to ignore the fact that to this day, over 3 [terabytes] of evidence still cannot be reviewed by the State of Utah or provided to defendant Shurtleff before his trial date came and went due to a massive screw up by the FBI and DA’s Office in inexplicably co-mingling tainted material related to communications between John Swallow and his defense counsel, ending up in the Shurtleff and Lawson discovery. In their world, none of that seems to matter. Nor does it matter that a plethora of other evidence, such as UTA / Whitewater VII material was not turned over to the State of Utah or defendant Shurtleff [absolutely stunning given Marc Jenson’s testimony], nor was the SDNY Poker indictment case that clearly and directly relates to another key witness (Jeremy Johnson himself). In addition to other key categories of material not provided to defendant Shurtleff, we have recently learned of yet another serious example not provided – 848 pages of agent notes related to interviews of key witnesses. Yet the DOJ took the position in pleadings to the Third District Court that they had provided everything, hundreds of thousands of pages. The DA’s Office did not dispute that characterization and was frustrated at my pursuit of evidence. If not hiding things from defendants and witnesses, caring about fulfilling my duties as a Special Assistant Attorney General (including with respect to immunity determinations with key figures) and most importantly my oath to the Constitutions of Utah and the United States makes me a Tasmanian Devil to their agenda, so be it. And under all this swirling, Jeremy Johnson asserts his Fifth Amendment rights. Poker fans remain curious about the bribery claims involving Full Tilt and Harry Reid, though if this latest skirmish is and evidence, answers to those questions will be a long time forthcoming … if ever.